Gaspari Nutrition took Sports Nutrition to the highest level with SizeOn, the original intra-workout creatine drink. As clinical research advances, so does Gaspari Nutrition which is why SizeOn has now evolved into the Ultimate Hybrid Intra-Workout Whey Hydosylate Creatine Formula. SizeOn now uses a high quality whey hydrosylate that contains over 50% di and tripeptides as well as a large array of anabolic promoting ingredients such as a high dose of L-LEUCINE (5 grams) to allow for unparalleled increases in athletic performance, skeletal muscle recovery, explosiveness and most notably, immediate increases in muscle size while you are still training. Furthermore Gaspari Nutrition researchers have harnessed the power of pterostilbene – our patent pending and brand new insulin secretagogue - picked specifically to work in concert with our universally acclaimed and patent pending Outlast™ carbohydrate blend. This powerful combination initiates and sustains muscle volumization and anabolism to levels never seen before in a sports nutrition product. To top it off, we also included LOLA™, our cutting-edge, ammonia scavenging amino acid salt of L-Ornithine and L-Aspartate to help battle fatigue. The bottom line is that Gaspari Nutrition has once again outdone itself and yet again redefined what an intra-workout supplement should be – a category of product we created years ago! Averages based on 29 total ratings. Good creatine supp. Like the extras stuff. Seem to help a bit more than your average plain creatine monohydrate. This is definitely one of my favourite creatine supps. Probably because its not just a creatine supp. I've used it as a post workout on and off and I always notice great recovery with it. The only downer is the taste. It's not totally gross, but I find I have to psych myself up a bit before I smash it down. Better than any preworkout i've ever used. SizeOn really helps me to get through my longer weight training sessions and still have energy at the end to go for a quick run. Try not to make it with too much water otherwise you'll be going to the toilet all the time, but the supplement is pretty tasty. I find my recovery rate also improved quite a bit while I was on the supplement. Tastes good and has great effect on amount of push you can have in a workout. Able to go harder and longer and recover much quicker! Sizeon is the most complete Intra Workout on the market, a must for gainers. Stack this product with Animal M-Stak and Pak and you will be impressed with the results both size and lift wise. I'd have to say that the taste is very good, I was expecting something awful like most other powders, but this went above and beyond my expectations, I would recommend this to my buddies. SizeOn it is the best I have ever used. Like all the Gaspari products, it delivers what it promises. I use it consistently and it keeps me going at work and gym when other guys are tiring. Gaspari is the one for me! SizeOn Maximum Performance is a great intra workout drink, I very rarely get any after workout soreness and it helps me maintain my energy levels during my workout. This is a very good product and I will order this again! Again Gaspari Nutrition promises an outstanding product and again they deliver. Before I go any further I will declare that I am a Gaspari freak & have never been dissatisfied with any of their products. This means that not only do I use them all the time, but I stack multiple Gaspari Nutrition supplements upon one another. My basic stack being Gaspari Superpump 250 thirty minutes before a training session and Gaspari SizeOn during the session. Compared with other creatine supplements used I have found that not only does Gaspari SizeOn deliver upon its promises. I also have had no gut bloating or fluid retention as I have with some other creatine supplements. Also, I have found the sizeOn dosage timing schedule and co-ordinating taking it with other Gaspari supplement windows easy & convenient. I use the powdered form of SizeOn. In summary Gaspari Nutrition SizeOn delivers and its easy to use. Firstly I'd suggest don't mix a serving of SizeOn with less than 700ml of water otherwise it could make you feel sick during your workout. Aside from that SizeOn is giving me some rock hard pumps in the gym. Right from the first set my skin is feeling really tight compared to 3 weeks ago especially in my arms and across my chest. My abs still look the same so it doesn't look like I am retaining alot of water in unwanted areas. Reps and weight have not increased by any significant amount but I have been able to slow the reps down and use more control, which I believe is a strength increase..Watch the mixing as it tastes like cr#p if it is too strong. Great product! I consider Size-On one of the best ways to add mass to your frame. It's low in calories, which will help you maintain a lean look while adding serious size. I would highly recommend using this product with Superpump250; it will pump you up for your workouts and then using Size-On to recover immediately after your workout. Gaspari SizeOn is one of the best intra-workout creatine powders out there. It gave great energy while working out and I found recovery was increased. I stacked this with Superpump250 and was very impressed with the hard pumps that I would get on my arms training. I found the best mix was ¾ of a scoop with 600-700ml of water. I had the Grape flavour and this gave the best taste. Give it a good shake before drinking or there will be bits of the powder at the bottom. The first time I worked out with Size On, I stacked it with Superpump 250. It was chest workout day, and after each set I had to withhold my self from lifting more weights because I was so pumped and had heaps of energy. At the end of the workout the result was a blood pumped chest that was huge. My skin literally felt tight across my chest, never had I felt so big. I also gained a lot of mass in the areas that I wanted to gain mass and not around the stomach. Definitely going to buy Size On again. Oh yeah and DOMS are history. SizeOn = SIZEON! I’ve consistently added 6 kgs of muscle in the last 6 weeks alone. If you want gains too I suggest you grab some of this awesome product like I did. You won’t be sorry. What can I say? Yet another fantastic and reliable Gaspari Nutrition product. If you haven’t tried Gaspari Nutrition Size On yet, then I encourage you to try it. You won’t be disappointed. I plan to try Super Pump 250 next in conjunction with my second tub of Size On. Well, as for Size On, I have been currently using it for approximately a week and I have experienced significantly shorter recovery time; which has allowed me to work out more frequently. Additionally, I have been able to raise my lifting capacity by about 5-10kg for each exercise and perform the same amount of reps as the lower weight I used to lift; all of this in a week’s time. I absolutely love the Arctic Lemon Ice flavour; can’t wait to see how it goes in the future. 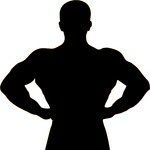 If you do choose Gaspari Size On, I encourage you to order from Mr Supplement. I ordered it on Thursday and received it Friday morning. Overall great, great service from Mr Supplement. After trying many similar products since I began training, I found that Gaspari Nutrition Size On is one of the best and fastest acting creatine formulas on the market. I mixed a scoopful up in my water bottle and drank it during my work outs and found that within a week or so my muscles were noticeably bigger and harder. I tried the Artic Lemon Ice flavour and thought it tasted pretty good. By giving my bottle a shake regularly during my work out it stayed well mixed and was easy to drink. I was very impressed with the results I achieved in a short period of time by stacking this product and a protein shake. Awesome intra-workout. I only take one scoop when weight training only. Gives energy right through the workout, so you can smash out a longer workout and maintain strength. It also tastes great and so it probably does the other thing it promises to deliver; repair your muscles more quickly whilst working out. Great product, in collaboration with the awesome pre-workout Superpump 250. Size on- is the product that has put the most size on me… this product is a miracle worker, it gives me something to drink during my workout that tastes great (grape), keeps my hydrated and also gives me the energy to go harder with the protein and creatine to build bigger… I put on on some serious size and detail while using this with superpump 250.. if anyone is worried about shelling out the cash for products that might not work.. all I can say is that you have nothing to be worried about when purchasing Size ON maximum performance. Awesome intra-workout. I only take one scoop when weight training only. Gives energy right through the workout, so you can smash out a longer workout and maintain strength. It also tastes great and so it probably does the other thing it promises to deliver; repair your muscles more quickly whilst working out. Great product, in collaboration with the awesome pre-workout Superpump. Creatine is so efficient at shuttling water into the intramuscular compartment, that an emergent side effect associated with it is that of muscle cramping. This most often occurs when too little fluid is consumed whilst supplementing with creatine. Muscle Cramping, strains and tears are all anecdotal evidence that are not supported by scientific fact. Creatine draws water away from the internal working organs and therefore if you take a lot with no water then a mild stomach cramp will occur. There have also been reports of gastric upset or intolerance that a lot of compounds are known to cause in a few people. The directions on the canister of SizeOn are a little confusing. It says to take it during your workout and also before bed. How is this product properly used for optimal results? This varies depending on what time of day you work out. If you work out first thing in the morning, then taking SizeOn before bed would be very beneficial. This would ensure you wake up fully hydrated with full glycogen stores, which puts your body in the proper state to have a great early morning workout. It is also recommended in this case to then take another serving and sip on it throughout your workout. If you work out later in the day, only the intraworkout serving is necessary. On your off days you may take it whenever is convenient for you, as it is only important that it is consumed at some point throughout the day and the time at which you take it is not a significant factor. Can I stack SizeOn and SuperPump250? Yes, you can absolutely stack SizeOn and SuperPump250. They work synergistically and make a great combination. SuperPump250 provides a vasodilatory effect as well as neural stimulation, energy stimulation, and BCAAs for numerous other effects. SizeOn takes care of cell volumization and superhydration as well as eliminating any bloat that is so common with most products that contain creatine. Together they create an incredible environment to promote a great workout and substantial muscle growth. How are the SizeOn tabs different from the powder? Why would somebody use them instead of the powder? They are very similar in most aspects with the exception of a few key ingredients. The tabs do not contain the carbohydrate “outlast,” but they do contain an advanced neural stimulant called allothiamine. Allothiamine is a powerful neural stimulant that will increase concentration and focus during your workout. If you are dieting the tabs would be the better choice. Can I take SizeOn and SuperPump250 continuously or do I have to take a break? It is always good idea to take a break from any product. This keeps your body from becoming resistant to the ingredients which would render the product inefficient. You should take two weeks off after every two months of continual use. I am running low on glycergrow and am looking at purchasing another muscle cell volumizer supp. I am also currently taking intrabolic as my intra-workout supp. My first question is, would sizeon be a better choice for a muscle cell volumizer than glycergrow and secondly, would i be able to combine it with intrabolic, or would it be inappropriate (as both are recommended to be consumed during the workout)? Hi & thanks for your mail. In response we can't comment on glycergrow or intrabolic as we don't stock them & have no experience with them. We can comment that Gaspari SizeOn is an excellent Muscle Volumizer & one of our favourite products. SizeOn is suitable for use as an Intra/Post workout supplement on it's own. Highly Recommended. Sizeon is mean to be taken once per day, on training days WHILE you train, 5-6 days per week. Mix one scoop in 600-700mls of cold water and sip throughout your workout. Should the need arise, add more water as necessary throughout your workout for proper hydration. Seek the advice of a health care practitioner before use. Not Suggested for use in children under the age of 18 or in people who have been diagnosed with hypertension, kidney disease, liver disease, metabolic syndrome, diabetes, neoplastic condition such as cancer or thalassemia. Do not use if pregnant or nursing. Keep out of reach of children.